Across the country boys and girls are getting ready for school. Most of them are excited and look forward to seeing old friends, meeting their teachers, and settling into new classes. For others, around one in four, school is torture. School is where they struggle. School is where they see others succeed while they fail, over and over. School is where they decide early on that they will drop out when they are old enough. It’s where they decide that life living on the fringe of society is better than living with the daily humiliation of public failure. The number one cause of that failure begins when children reach kindergarten and don’t know what to do. They aren’t ready. No one has helped them prepare to learn. No one has read to them. In many homes there isn’t a single book for a child. Not one, single, book. If a child can’t read, doesn’t know how to learn, and sees school right away as a place to hate, teachers know even that early that he or she is already doomed unless urgent, immediate intervention can turn that young life around. Sometimes it works; often it does not. The damage has been done during those vital early years when young brains are growing more rapidly than at any other time of life. 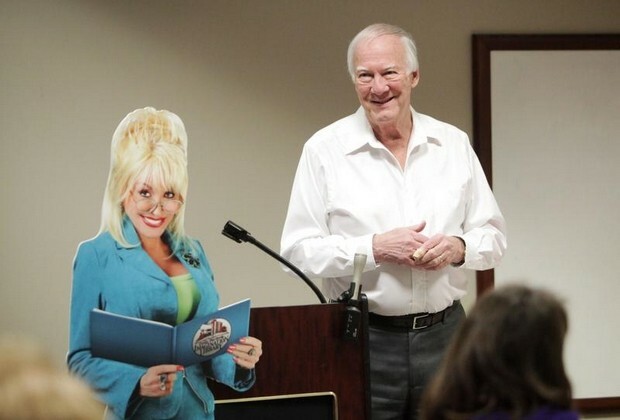 Getting books into the homes of children who need them most is the goal we set when a group of us brought Dolly Parton’s Imagination Library to Springfield. All parents have to do is sign up for their children under five years old. From then until their 5th birthday, they receive a book mailed to them at home every month. It’s free. This program is in place across America in hundreds of cities. More than 70 million free books have now been mailed to children in every state. Research has shown that this approach works, that a significant improvement in school readiness has been measured in children receiving their book every month. Our job is to raise the funds to keep Imagination Library going and growing in Springfield. The cost per child is $27 per year. Can you imagine? Twelve books mailed to a child’s home for only $27 per year? No problem to raise that much for a few children, but we have thousands in Springfield who need this program. Currently we’re serving about 1,750 kids so we’re nowhere near finished growing. The problem is that we’re nearly broke. At our meeting yesterday we reviewed our finances and determined that we have enough cash on hand to last four more months. Then it’s over. Today is a new day. We’ll meet it with determination not to let this happen. Our group of fewer than ten people will start from scratch looking for major donors to help us through this crisis and prepare for the future. The issue is too important to end in failure. Wish us luck. ANNOUNCEMENT: Michelle Barnes is hosting a wrap-up of the witty ditties posted on her site all this month by poets who took my one-word challenge. Go there and read them. You’ll be glad you did! http://michellehbarnes.blogspot.com/2016/02/february-dmc-wrap-up-giveaway.html . P.S. There’s a free book in it for someone. I’m happy to announce that the folks at Don Wessel Honda are once again planning their DPIL Test Drive Event to benefit Springfield’s Imagination Library. For each test drive for a new car, the dealership will donate $25 to DPIL (Dolly Parton Imagination Library). We have also worked out a secondary promotional piece that for each test drive, Krispy Kreme (on Campbell) will give the adults a doughnut and a small coffee. There will also be promo information at the Krispy Kreme to encourage their customers to go right up the street and test drive a new car. Our United Way sponsor is working on a piece to go out – but each of us on the steering committee wants to use personal social networks and e-mail to help raise community awareness. I hope those of you in the area will also help. Yesterday I met with our Springfield steering committee for Dolly Parton’s Imagination Library as the deadline nears for our first charity golf tournament. The event takes place at Highland Springs on October 19. Although Dolly Parton’s people make it as easy as possible to place books into the hands of youngsters under five, each community that accepts her challenge is charged with raising the $25 per child per year it costs. Although we’re up to 2,000 children per month now (25 x 2,000 = 50,000/year), there are 9,000 children in our community and closer to 16,000 county-wide. We’ve come a long way but have a long way to go. We still have room for more teams to sign up so if you or anyone you know might be interested in entering the tournament and/or supporting it at some level, please share this information. Cut off for team registration is October 1 so timing is critical.